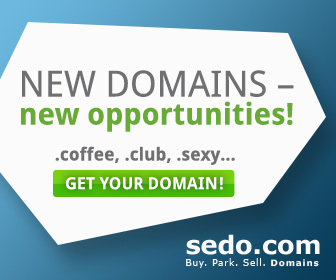 When I first started buying and selling domains, it didn’t go well. I didn’t know what’s good or bad, or let me put it this way: the domains that i thought would make me rich weren’t going to do that, they simply drained my cash flow. That’s why i believe domainers today, and newbies included are benefiting from the availability of domain data if you’re mindful enough. As i have mentioned previously in DNAM.COM about domain sales history tracking sites that you can follow, I regularly go to these websites to find out the latest trends, what are selling well, specific niche that i’m paying attention to and their performance in recent times. I just did another round of search on Namebio.com, first with keyword: student, and i found out that the domain studentfactory.com was acquired through dropcatch on Jan 28th this year for a mere $245 and quickly auctioned off on Feb 19th with a cool $2337 on sedo; that just tells you what a difference a change of platform can do for the price of domains, the bigger the user base, the more likely the higher the price! a second search i did was to check how the extension .co.uk is doing as i’m looking to invest in the extension and expand my current portfolio of only 10 names, to my delight, .co.uk is doing well with some good sales recently including purple.co.uk colored in $158,035 on sedo and some other nice sales which will get another post in the round up of sales of .co.uk in May.